With an automated tape laying machine like the Fiberforge RELAY2000, spot-welded 2D layups of unidirectional fibre reinforced thermoplastic tape can be produced within short time. The layup process is usually followed by a consolidation step to remove the air of the layup and to fuse the plies. After this, the preforms can be formed into 3D parts. As the consolidation step is very time and energy consuming, methods were investigated within this study to form carbon fibre reinforced polyamide 6 layups without any previous consolidation. A variety of challenges during pre-heating, handling and forming may occur. To cope with this, a number of different approaches were compared in terms of processability and resulting part quality: 1. Additional ultrasonic spot-welds to improve the heating in an infrared oven. 2. Vacuum setup with polyimide films to remove air and improve the heat transfer between the plies. 3. Vacuum setup with polyamide 6 films with the same aims as with the polyimide foil plus an improved formability. The quality of the formed parts was examined using thermography, microsections, void content and fibre volume fraction measurements. The reference were formed parts made of consolidated preforms. The evaluation revealed that the vacuum setup with polyamide 6 films generated the best results that were also comparable to the reference. The additional matrix material caused a reduction of fibre volume fraction and an increase in thickness, but also enabled new possibilities for joining with other parts. The work was funded by the Bavarian Ministry of Economic Affairs and Media, Energy and Technology and the Government of Swabia (RvS-SG20-3451-1/19/8). 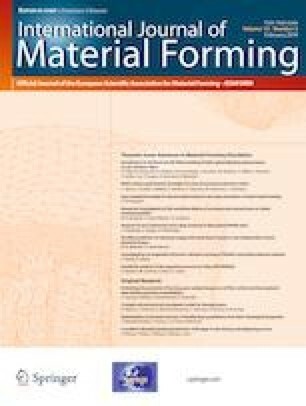 The authors would like to thank the Celanese Corporation for the supply of the material, as well as Matthias Lukawsky and Tobias Betz for their help with the forming experiments.